Facebook - From Eco Animal Encounters: “Even though all of the king cobras here have been converted on to rodents, as a bit of enrichment for them I will often defrost small sections of adult corn snakes and rub the scent around the enclosures before hiding the food item under the substrate, in a hide or wedged in a branch, and enjoy watching the king cobras ‘hunt’ for their food. Here’s my female Chinese king cobra enjoying a section of defrosted corn snake this morning.” All of this, of course, sparks a lively discussion in the Facebook thread. 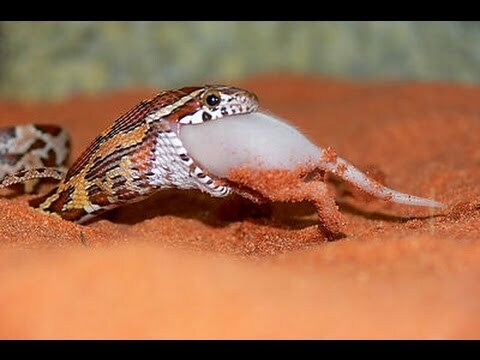 SBTV Throwback: Corn Snake Eating a Baby Pig? 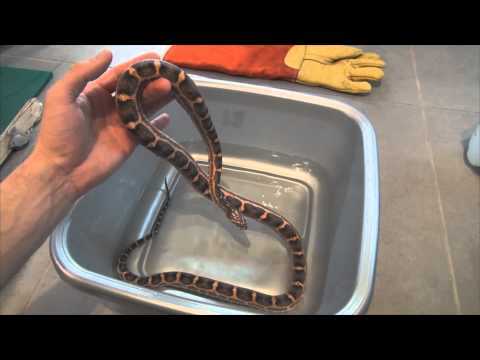 YouTube - In this SnakeBytesTV throwback episode from February 2013, Brian talks about how to care for corn snakes and shows us some of their amazing color phases. Reptile Forums UK - Members share some hilarious pictures of their corn snakes doing their best cobra impersonations – very cute! Field Herp Forum - A member’s request for photos for a special project yields a lovely gallery thread full of wild corn snakes.